New Zealand Calligraphers: THANK YOU JAN LEONARD! At the New Zealand Calligraphers AGM in June we sadly saw Jan Leonard step down from her role as President. Jan has spent the last two years as President, and many before that on the committee, and has done such an amazing job organising our committee and keeping our society going. A presentation was made to Jan in appreciation of her contribution to the society. This included a life membership certificate created by Glenice Martin, Chocolates from Kowhai Arts and a cyclamen plant with a bottle of wine. Barbara made her a beautiful card. Jan joined the society in 1996 and we can't thank her enough for everything she has done! 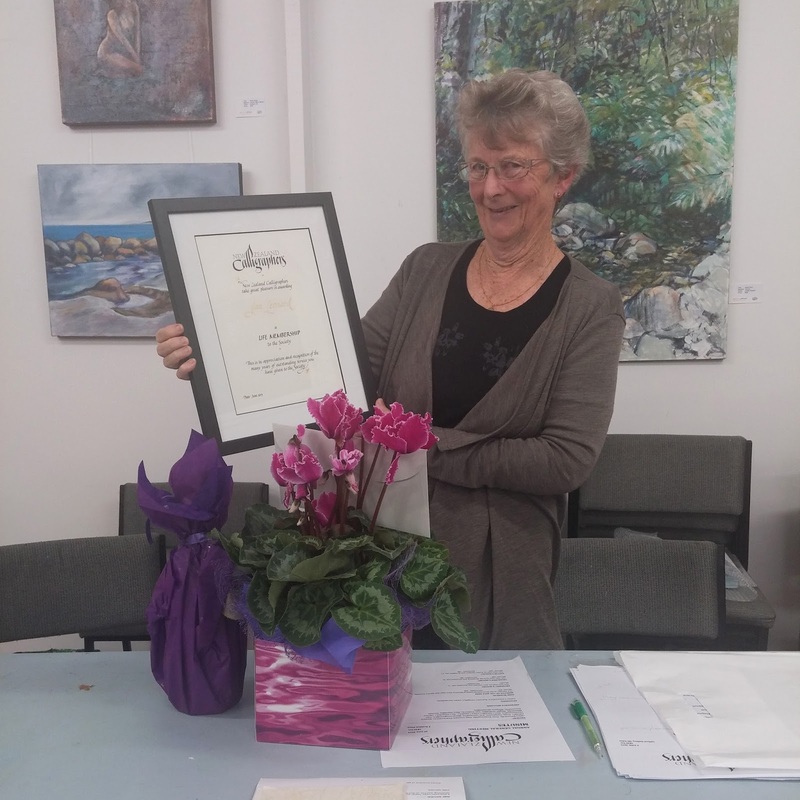 Jan Leonard with her life membership certificate - thank you Jan!